There are no fair weather tugs in the Moran fleet. 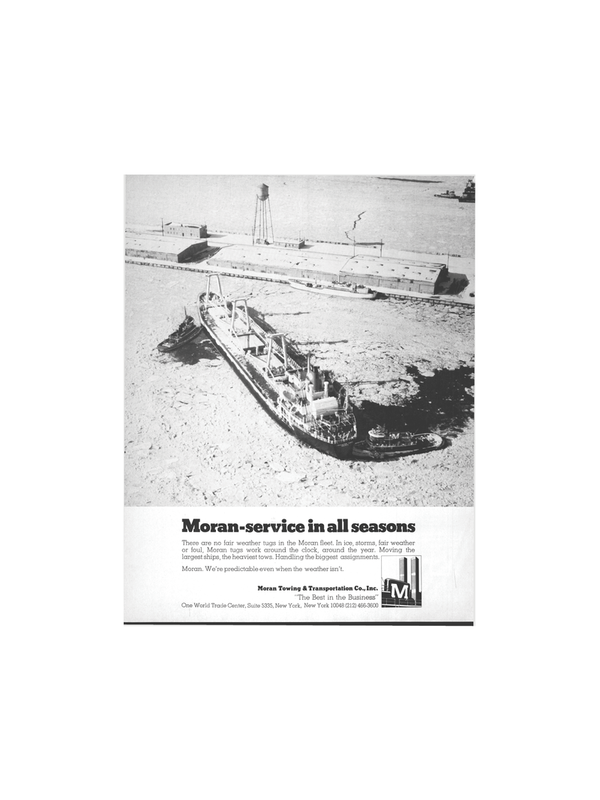 In ice, storms, fair weather or foul, Moran tugs work around the clock, around the year. Moving the largest ships, the heaviest tows. Handling the biggest assignments. Moran. We're predictable even when the weather isn't. Moran Towing & Transportation Co., Inc. "The Best in the Business"
World Trade Center Moran Towing & Transportation Co. Inc.